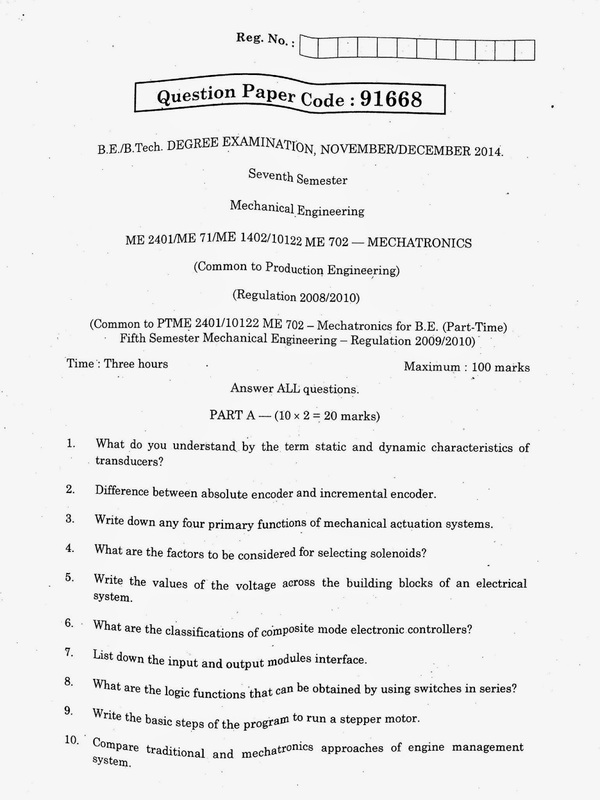 Want to downloadME2401 Mechatronics B.E Mechanical 07th Semester Elective Nov Dec 2014 Question Paper? Get it from the scanned copies of original question paper below. It is useful for Anna university and its affiliated college students.